Good times shared with your dad might be cheering on your favourite hockey team; a backyard beer and barbecue with Dad as the grill master; sound advice sitting at your local watering hole; skipping stones at the lake; tailgating with red solo cups before a football game; fishing off the dock and cracking open a cold one; enjoying a well-deserved brew after tinkering with your car or working in the yard. If these are some of the best times with the dad in your life, you just might want to have a look at a few of these ideas. Beer label coasters, a beer bottle tiki torch, etched glasses, a beer flight paddle and more. Here’s your source for gifts that dad will love because they’ve got that homemade touch. Click HERE to be taken to the a DIY list you’ll love making and your father will love receiving. 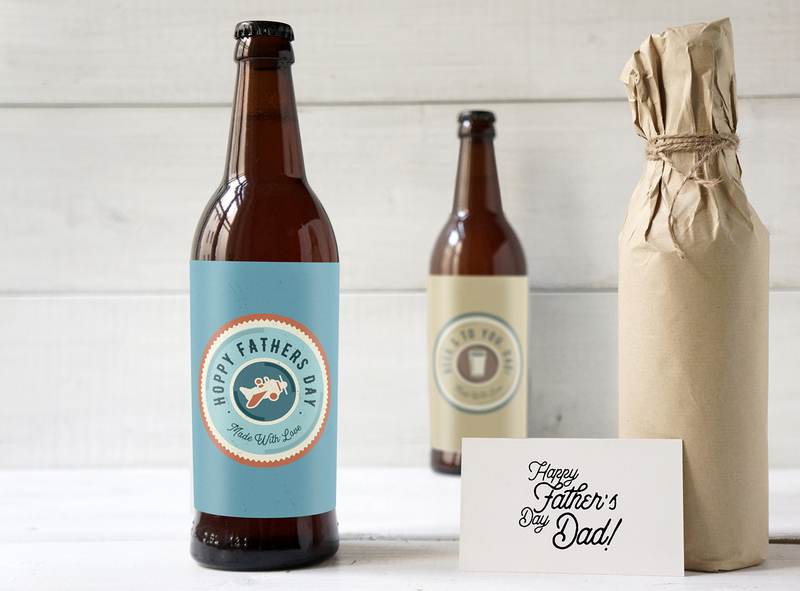 Step-by-step instructions on how to create printable beer labels for your dad. 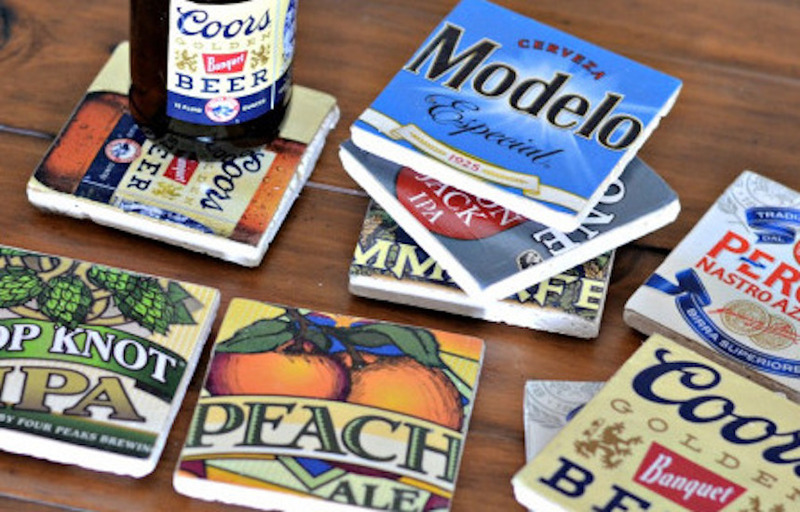 Replace a 6 pack of his favourite brew with these designs made for fathers and grandfathers. Personal Creations gives you all the instructions RIGHT HERE. Even the least crafty person can make this for Father’s Day. 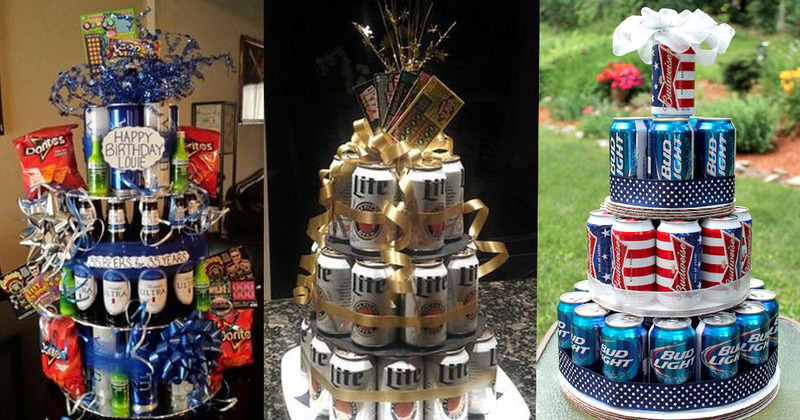 It’s a beer can cake that requires no baking. Here are the instructions! Act now while there’s still time! No need to search online, we’ve got all the ideas you need right HERE! You may need to pay a little extra for rush delivery, but hey. – your dad’s worth it, right? Experiences create lasting memories. Maybe “things” aren’t your thing, and dad would rather go to a beer tasting event or beer seminar with you for father’s day than open a present. 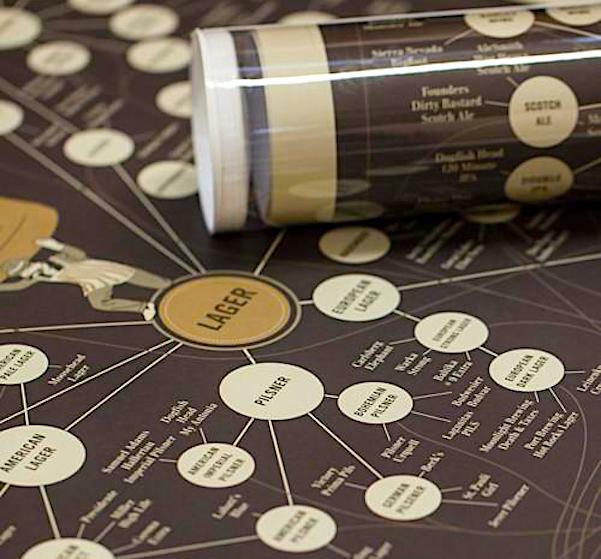 Check out these beer-related activities near you. Hello all you Ghouls and Ghosts, it is time to put on your best scary face and drink some pumpkin beer! Dan Crocker, A.K.A. booze reviews, is the king of beer reviews. Continue reading to find out what he thought of Flying Monkey’s Paranormal Imperial Pumpkin Ale. Is it the perfect beer for Halloween? Or just straight up scary?